Express captivating confidence in therag & bone™ Arc Espadrille Wedge. Slingback style strap with silver-tone metal ring and secure button closure. Wrapped wedge and platform in interwoven raffia. 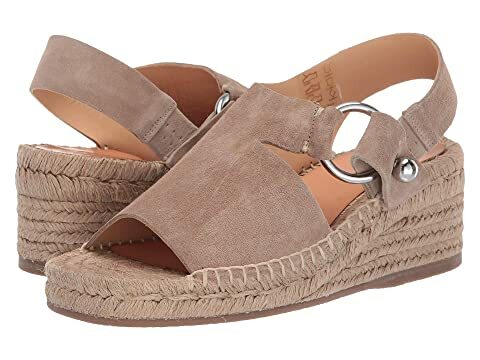 We can't currently find any similar items for the Arc Espadrille Wedge by rag & bone. Sorry!